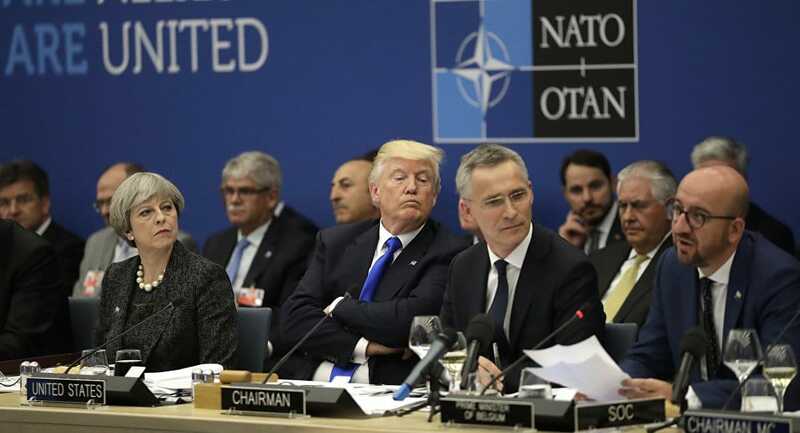 Senior US officials acted to prevent Donald Trump from sabotaging an agreement with NATO allies at July’s summit. The officials scrambled to preserve the agreement with the alliance after Trump refused to sign off on a communiqué at the end of the G7 meeting in Canada in June. National Security Advisor John Bolton demanded that the American position be established in advance of the NATO summit, rather than relying on negotiations at the end of the meeting. Trump still also sank the summit. He repeatedly derided Germany and chastised other NATO members over their military spending. Just before the announcement of the communiqué, he threatened a US breakaway if allies did not accept his demands over expenditure. Afterwards, he questioned NATO’s Article 5 that an attack on one member is an attack on all, suggesting that the US is not bound to mutual defense. 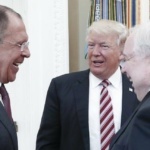 However, the announcement of the communiqué is offering some protection from Trump’s declarations, supporting the cooperation of the US military and other agencies with foreign counterparts. In June, Bolton issued the command for advance completion of the communiqué to NATO through the organization’s US Ambassador, Kay Bailey Hutchison. NATO Secretary General Jens Stoltenberg told ambassadors on July 4 that any arguments over the agreement had to be dropped. The delegations agreed with Stoltenberg’s request to finish work by July 6, five days before the summit opened. “Two senior European officials” said US Secretary of State Mike Pompeo and Defense Secretary Jim Mattis supported the effort. The initiative ensured that, over Russian objections, NATO would formally invite Macedonia to join. An Atlantic Command post, hosted by the US in Norfolk, Virginia, was established to coordinate a swift alliance response in the event of conflict such as a war in Europe between Russia and NATO allies. Members pledged to build up their militaries by 2020 and provide 30 mechanized battalions, 30 air squadrons, and 30 combat vessels, all ready to use in 30 days or less. Past US Presidents have been details of the proposed agreement for their consideration and approval. In contrast, Trump was shown only broad outlines of what the 79-paragraph, 23-page document. Pentagon spokesman Eric Pahon said the summit was “extraordinarily successful, and the outcomes are now strengthening the alliance and trans-Atlantic security”. NSC spokesman Garrett Marquis said the NATO declaration “displayed the unity of 29 sovereign nations across an array of tough international security challenges”. The Trump Administration says that 559 immigrant children are still separated from their parents, months after they were seized and weeks past a court-ordered deadline for reunions. Administration lawyers said in a court hearing that 2,551 children had been separated under the “zero tolerance” policy ordered in April. Of the children still not reunited, 386 have parents who have already been deported. The lawyers said they have no information at all on parents of 26 children. On Friday, the Administration finally filed a plan for the 559 children, but is only permitting reunifications in home countries after the State Department finds “missing” parents. The Administration has not offered to correct erroneous deportations, and it says the American Civil Liberties Union — representing immigrant plaintiffs, must determine if parents want reunification. Melania Trump’s parents have used the “chain migration” process — denounced by Donald Trump and used by his allies for anti-immigration legislation — to become US citizens. Viktor and Amalija Knavs used the process by which naturalized adult American citizens can obtain residency for relatives. Ms. Grisham directed further questions to Donald Trump’s staff, who did not comment.